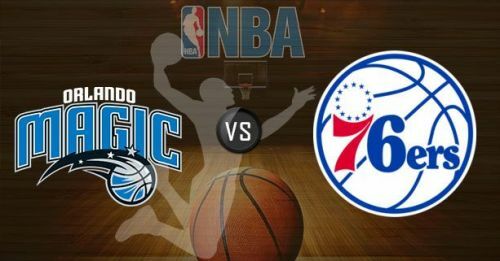 In the numerical comparison of the highly anticipated match on 26th March, Philadelphia 76ers definitely have a leading edge against the relatively dilettante Orlando Magic. 76ers have above 64 winning percentage against 46.5 percentages of Orlando. The one team which has evidently impressed everyone in the Eastern Conference is undoubtedly 76ers which is even well above the veteran Boston Celtics. Ben Simmons is virtually at a career-high as a point guard and very invigorating for 76ers as he is young blood. Markelle Fultz is falling little short against Ben as point guard both in firsthand experience and numbers. The impact of Ben Simmons is huge being rookie of the year in 2018 and also NBA all-star in 2019. There is one stark difference between the two teams. The average age of the playing five of both the teams is 26 and 22.5 respectively, which is big as clearly the 76ers are much more experienced than Magic. Jimmy Butler is another impact player which 76ers have. Butler has been part of the Rio Olympics Gold Medal winners in basketball and is a four-time NBA All-Star. Orlando barely has Nikola Vucevic as the experienced player with the prestigious honor of being a 2019 NBA All-Star. Orlando have won three matches out of the last five with the last two victories coming against the Cavaliers and Hawks. Philadelphia is faring much better with five consecutive victories in their last five matches. Moreover, their last victory was special as they won a nail-biting match against the topmost team in the Eastern Conference with 130-125. Joel Embiid adequately acted as an antidote to Giannis Antetokounmpo in this match. The momentum is more in favour of the 76ers. Philadelphia's last match was a high scoring encounter so the predicted score is 110-90, with the 76ers getting an easy victory.